The front door is the first thing any visitors will see when they visit your home and a great opportunity to express your personality and give a great impression. In the latest blog post from Williams Windows DG Limited, we discuss the various front doors available on the market, to help you choose the best door for your home. Some people change their home decor (and the exterior of their home) on a regular basis, whilst others pour their heart and soul into a renovation project in the hopes that their perfectly created decor will stand the test of time and last for years to come. 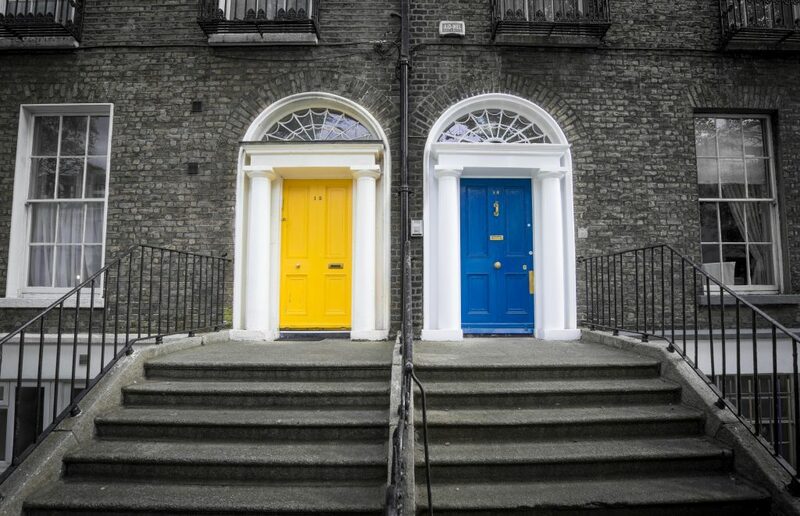 If you like to keep your fingers on the pulse when it comes to front door trends, you may be interested to know that red, blue, yellow, white, grey, black and wood grain are popular colour choices for front doors. UPVC doors are a common choice for many homes because they are durable and come in a variety of styles. Being versatile, you can choose between UPVC doors with large glass panels to allow light to flood your entrance or ones with bold colours and to suit your personal taste. If you’re torn between two particular colours, consider how the colour will wear over time and the colours you have in your front garden. If you are unsure how big you would like the glass panels to be on your front door, consider things such as the location of your home, how close you are to a public footpath or road and the noise levels of your location. The team at Williams Windows DG limited, we have been helping individuals tailor their home interior and exterior with made to measure front doors, bi-folding doors and even french doors! If you are in the process of renovating your property or are simply contemplating updating the exterior of your home with a new front door, we can help. Please call our dedicated team today on 0208 428 5433 or head over to our online contact form, fill out your details and we’ll be in touch shortly.